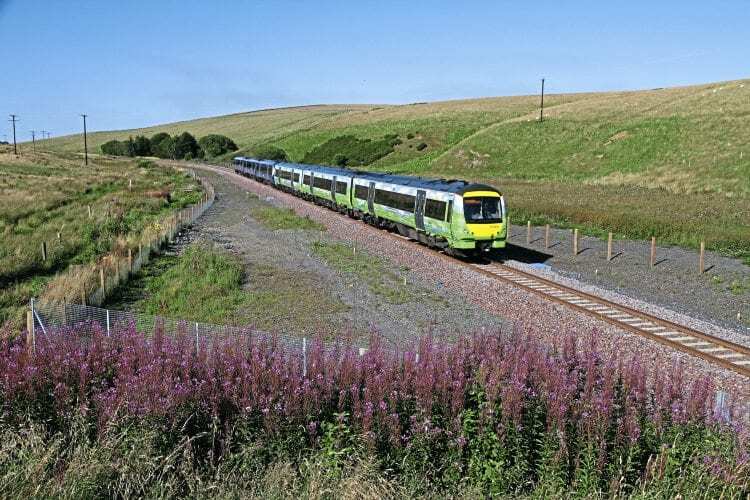 THE Borders Railway between Edinburgh and Tweedbank is attracting new workers, homeowners and tourists to communities served by the line. An independent study by Peter Brett Associates reports the £300million railway has become a major factor in decisions to relocate to the area, with 50% of users who had moved house and more than 80% of those who changed jobs stating that the railway had been a factor in their decision. More than 65% of tourist users stated the rail line was a factor in their decision to make their trip. Commuting is the most common journey purpose, but the line also sees a large volume of leisure traffic and a considerable number of trips for education. In December 2016, Borders College in Galashiels reported a 74% increase in applications. About 50,000 (36%) of the estimated annual single trips recorded via the sample were ‘new trips’. Passenger numbers are higher than forecast at all Scottish Borders stations and lower than forecast at all Midlothian stations. It is estimated that 40,000 car journeys and 22,000 bus journeys are being saved annually. The research was carried out before ScotRail’s service improvement plan of November 2016 took effect. In April, Transport Scotland announced a study into extending the Borders Railway to Hawick, with an option to reopen the line to Carlisle.